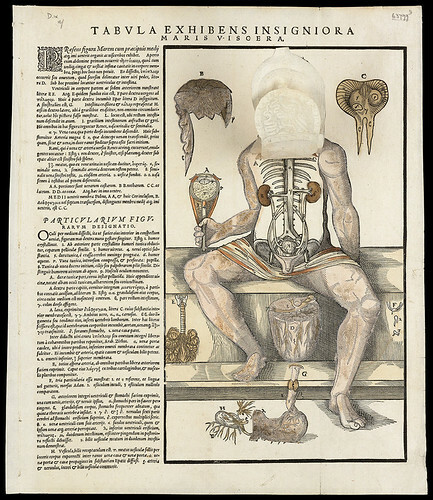 For much of recorded history the human body was a black box—a highly capable yet mysterious assemblage of organs, muscles and bones. 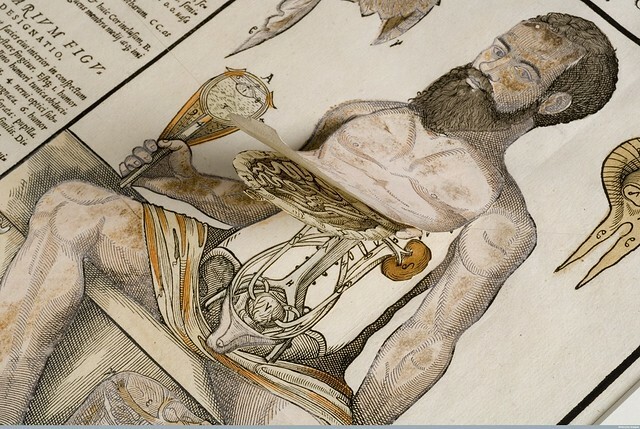 Even Hippocrates, a man who declared anatomy to be the foundation of medicine, had some interesting ideas about our insides. 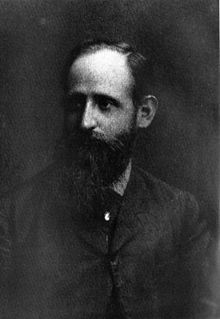 As we peek inside, we might send verbose birthday greetings to Josef Breuer; he was born on this date in 1842. A physician, he made key discoveries in neurophysiology. His work in the 1880s with his patient Bertha Pappenheim, known as Anna O., developed the talking cure (cathartic method) and laid the foundation to psychoanalysis as developed by his protégé, Sigmund Freud. The young Proust wrote his answers in French, though Faure’s album, a British import, was printed in English. 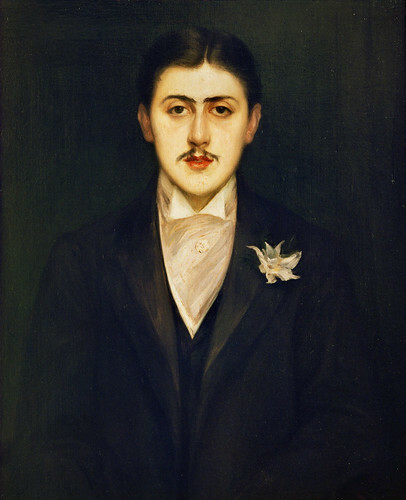 In his early twenties, Proust would fill out a second questionnaire, in a French album titled “Les Confidences de Salon.” He was far from the only significant cultural figure to participate in this ritual. In 1865, Karl Marx confessed that he considered his chief characteristic “singleness of purpose,” and that his favorite occupation was “bookworming.” Five years later, Oscar Wilde wrote in an album called “Mental Photographs, an Album for Confessions of Tastes, Habits, and Convictions” that his distinguishing feature was “inordinate self-esteem.” Arthur Conan Doyle, Stéphane Mallarmé, and Paul Cézanne all filled out similar forms. But while these other confessions are curios of their era, remembered only by historians, Proust’s questionnaires have had a far-reaching influence that their young author could scarcely have foreseen, becoming, over time, the template for one of the most widely administered personality quizzes in history. 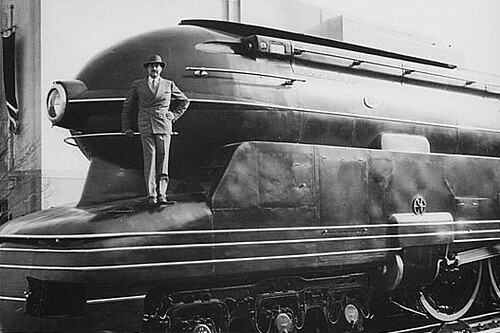 As we answer authentically, we might spare a thought for Raymond Loewy; he died on this date in 1986. A pioneering industrial designer, he shaped landscape of manufactured goods in the U.S., from the Coca-Cola bottle and vending machine, through the automobile (e.g., the Studebaker 1947 Starlight Coupe, the 1953 Starliner Coupe, the 1961 Avanti, and the Greyhound Scenicruiser bus) and appliances (the 1947 line of Hallicrafter radio receivers that conveyed a crisp precision far ahead of their time; the 1929 Gestetner duplicating machine, the 1934 Sears Coldspot Refrigerator), to the heavy industrial (the Pennsylvania Railroad GG1 and S-1 locomotives); and he created logos for companies including Shell, Exxon, TWA, and the former BP. (A more complete list of his work, here.) For all of this, he earned the epithets The Man Who Shaped America, The Father of Streamlining, and The Father of Industrial Design. Pound the husks adding the salt when they are nearly bruised into an uniform mass so that it may be perfectly mixed. This & all other pickles must be kept in close vessels, casks headed down, jars with bladder tied over the mouth, or cloth or paper covered with melted pitch &c. When a stone vessel is opened it should be emptied into smaller ones, so that no more than sufficient for two or three weeks consumption may be put into each. 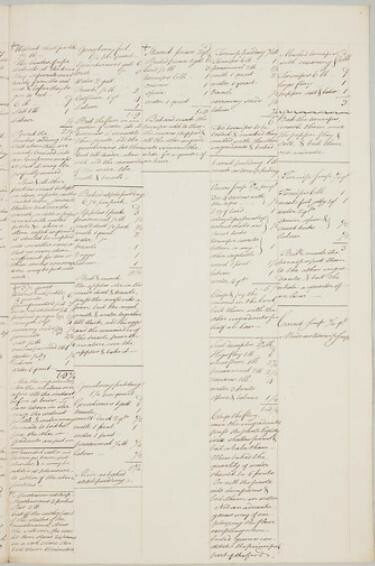 See Bentham’s other culinary creations– and the rest of his work– at Transcribe Bentham. As we clear our palettes, we might send unorthodox birthday greetings to Otto Gross; he was born on this date in 1877. 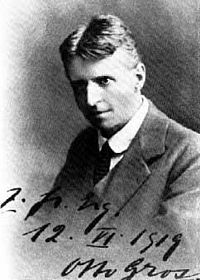 A psychoanalyst by training (he was an early disciple of Freud), Gross became a champion of an early form of anti-psychiatry (“depth psychology“) and sexual liberation, and an anarchist. His impact on psychology was limited (though Jung claimed that Gross “changed [his] entire worldview”); but he was an important influence on D. H. Lawrence, Franz Kafka, and other artists– including the founders of Berlin Dada.